I put out the call for a guest blogger and the lovely Erica from Baubles & Bites answered! She's an amazing cook and here is her first offering! It looks delicious! My name is Erica from Baubles & Bites and I am 25. I have been actively cooking for about six years now, something that was born out of necessity. That necessity grew into a full blown passion and I’ve never looked back. 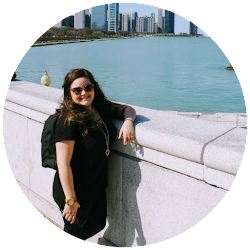 When I saw Margeaux’s post about guest bloggers I was excited to send out an email enquiry. The more we talked about post ideas, the more excited I became. The hard became narrowing it down. Then came the storm and with that the epiphany. Something at once cozy and fresh befitting both time spent curled under a blanket with a favorite book as well as an evening spent with friends. It needed to be something as delicious as it was simple to prepare. Which meant turning to Nigella Lawson for some inspiration. 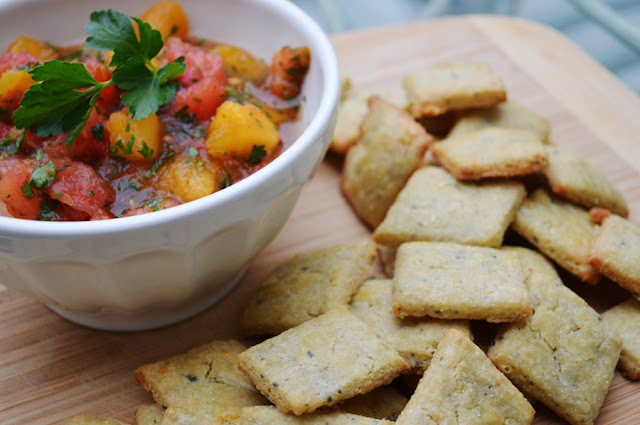 And thus, here is the recipe for Blue Cheese Crackers with Heirloom Tomato Tapenade. As an added bonus, if you to use something along the lines of Cashel Blue (an Irish blue cheese) these would be thematically perfect for a St. Patrick’s Day appetizer. 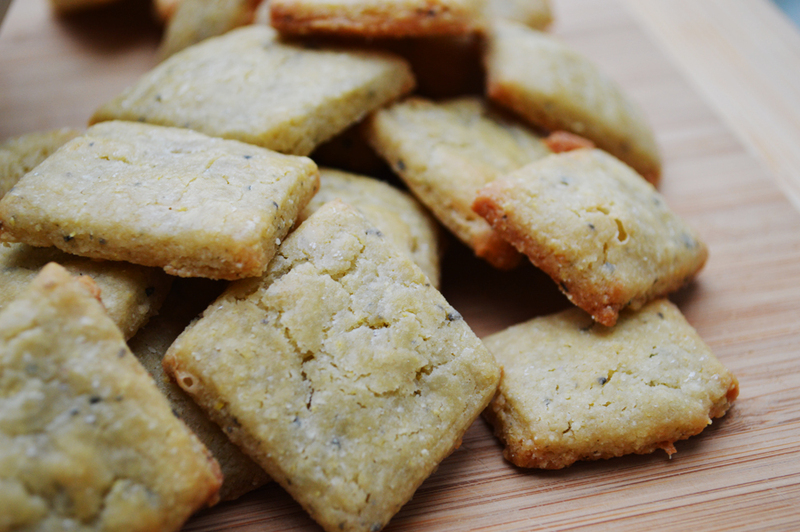 These crackers are addicting in their shortbread-like consistency and hint of blue cheese spice. 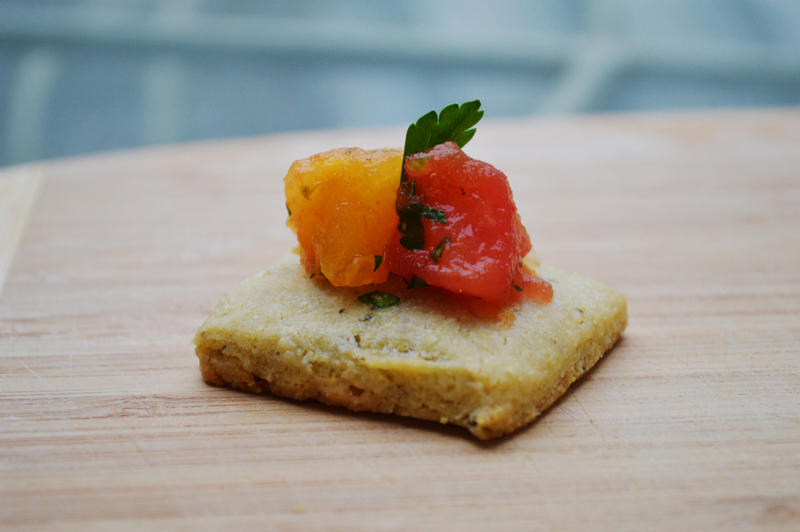 Paired with the fresh brightness of the tapenade and I could probably polish off a whole batch in a single sitting. The key here is in the ingredients. There are so few in the making of these crackers that the flavor of each stands out. Especially that of the blue cheese. Nigella’s recommendation of Cashel Blue in hand, the cheese monger steered me towards Saint Agur Blue. From Cheese.com, “Saint Agur is a blue cheese made from pasteurized cow's milk in the village of Beauzac from the mountainous French region of Auvergne. It is not as salty as a traditional blue cheese, but is rich and buttery with a subtle spicy taste.” If you’re having trouble finding either cheese, look for something that falls on the creamier side of the blue cheese family. Hard crumbles won’t blend well with the butter. Adapted from How to Be a Domestic Goddess by Nigella Lawson. Cream together the cheese, butter, and egg yolk until well mixed and smooth in texture. Stir in the flour and cornmeal, being careful not to over mix. As soon as soft dough forms, stop mixing. Turn out the dough onto a sheet of plastic wrap and lightly knead as necessary to ensure the flour is equally worked in. Form a disk with the dough and wrap to refrigerate for at least 30 minutes. This dough is a sticky one so leave it in to chill a while longer if it still isn’t feeling firm. While the dough is chilling preheat the oven to 400°F. Dust your rolling surface generously with flour and some extra cornmeal. This is also the ideal time to prep the tapenade (recipe below). Once the dough is done chilling, roll out to a ¼ inch thickness. You can use any small cookie cutter you like or as I did here use a sharp knife to cut out 1” squares. Lay out crackers on a parchment covered baking sheet and lightly brush with the egg wash (1 beaten egg and a splash of water). Bake for approximately 12 minutes or until golden brown and slightly puffy. This recipe makes about 30 crackers. This tapenade was born out of the idea that every cracker needs a dip. And with the saltiness of the blue cheese the brightness of the tomatoes serves as the perfect compliment. 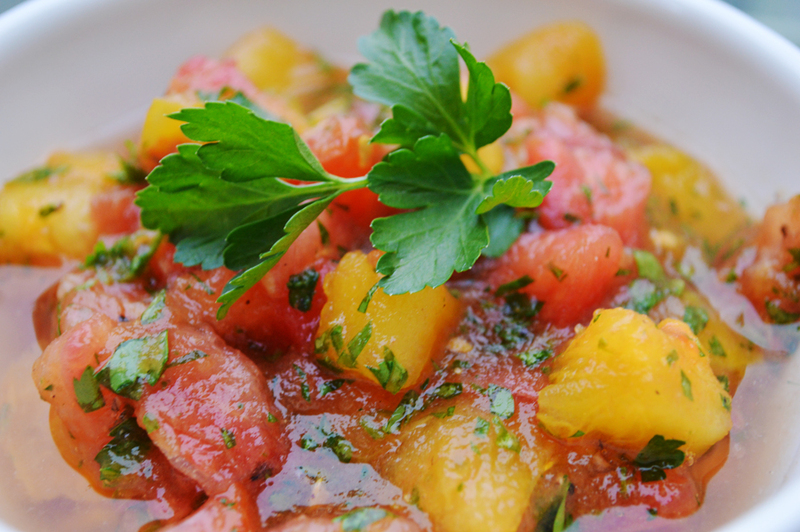 This is similar to a salsa and you can play with it as such. Some finely diced onions would be lovely if you’re looking to add a little more spice. Dice the tomatoes in large, even chunks and toss into a bowl slightly larger than the volume of tomato you have. Stir in the parsley, being careful not to mash the tomatoes. Stir in salt and pepper to taste. For me this meant just under a teaspoon of my favorite grey sea salt and 2 grinds of pepper. Chill for at least half an hour prior to serving. To arrange as an appetizer for entertaining sandwich a single parsley leaf between two pieces of the tomato right before guests arrive to maintain the crispness of the cracker. A huge thank you to Margeaux for allowing me to share here today. I had a blast putting these recipes together for you all and I hope you enjoying making them when you get the chance! YUM!!! This looks so good. What a great recipe to serves friends who are visiting! I'm keeping this recipe. It's looks relatively easy too.